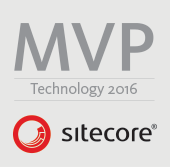 I’ve been working with Sitecore commerce server manager for a while and recently I have stuck with one error related to Sitecore commerce server manager. 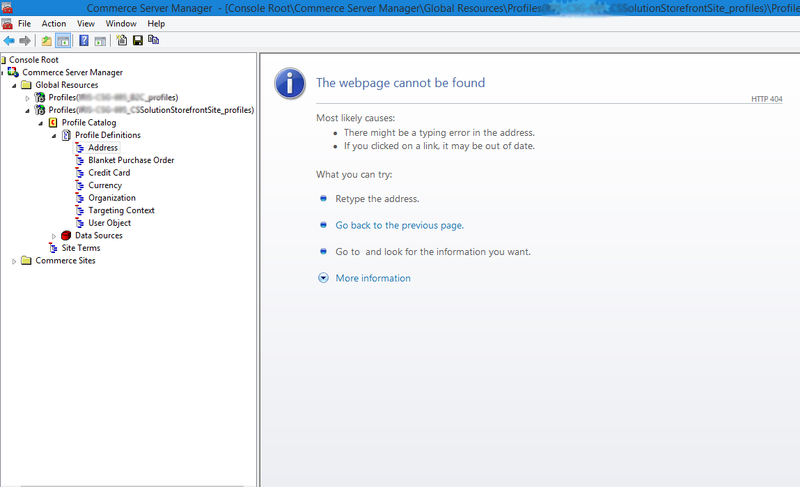 I was unable to navigate through Profile Definitions in commerce server manager. I was getting HTTP 404 The webpage cannot be found error. I’ve checked stack trace in fiddler and found out that http://<server-name>/widgets/profilebldrHTC/ProfileEdit.htm was throwing 404 error. 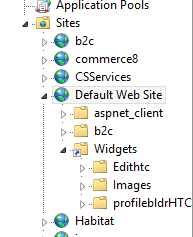 It seems that Sitecore Commerce Server creates virtual folder named Widgets in the IIS default website. This virtual folder points to C:\Program Files (x86)\Commerce Server 11\Widgets directory. 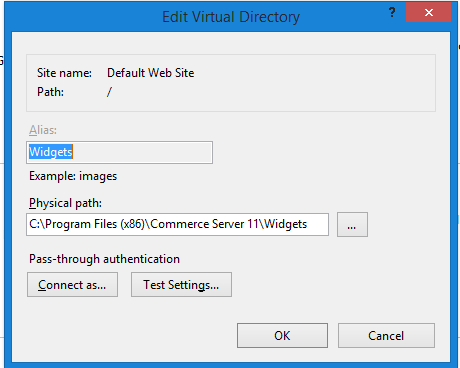 Navigate to default website in IIS. Right click on default website and click Add Virtual Directory. Enter Widgets in Alias section. Restart default website and refresh Sitecore commerce server manager. 404 error should have been gone now.